These are the 6 most popular types of coffee makers—are you using the right one? 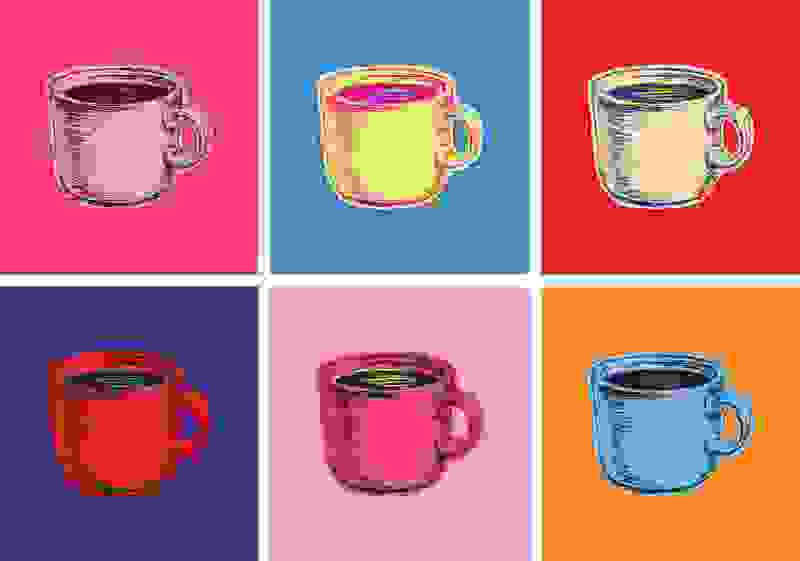 Which caffeine machine is right for you? Happy National Coffee Day, America! Did you know that the U.S. leads global coffee consumption with 146 billions cups guzzled per year? We clearly love our caffeine highs, but most people probably aren't brewing the right kind of coffee at home. With so many different preparation methods and machines on the market, it can be difficult to break down the differences. 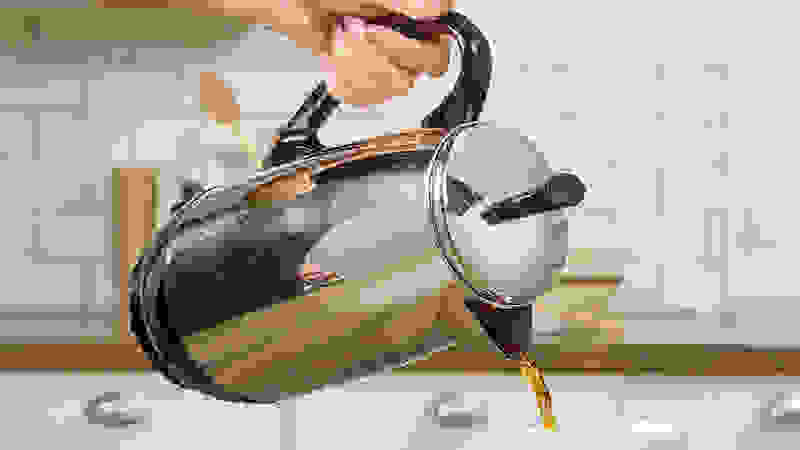 Here are the most popular at-home brewing methods and who should use them. How it works: Ground coffee is placed in a paper filter, and a reservoir with of water pours over the grounds to brew a full pot of hot coffee. Who it’s for: Purists, traditionalists, people who want a large pot of coffee kept warm for a while. Cons: Coffee can burn easily, requires cleaning after every use, has a tendency to mold. We recommend: The handmade Technivorm Moccamaster brews a complex and smooth pot of coffee that ranked highest in our taste test. This machine also fills a full pot quickly. 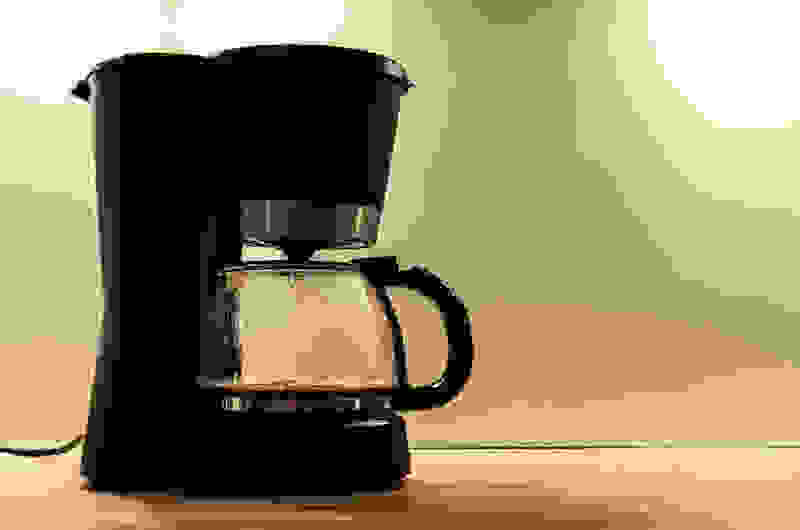 See our other recommendations for drip coffee makers. 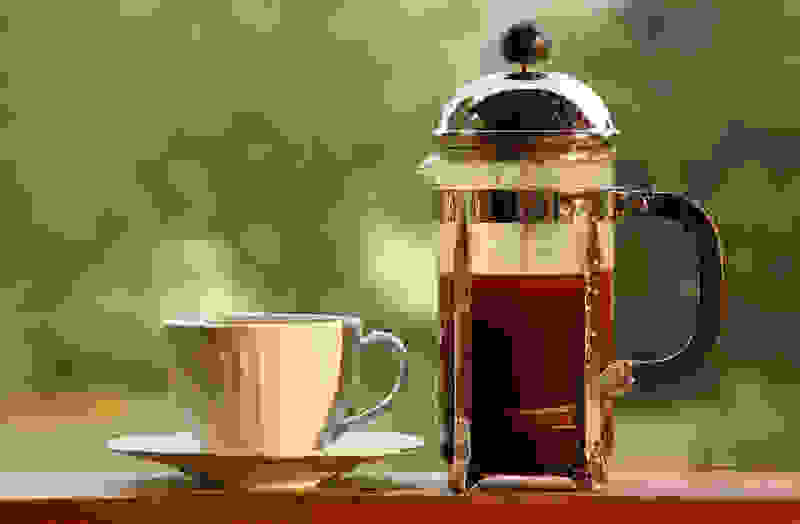 How it works: A percolator constantly cycles boiling water through coffee grounds at the top of the pot in a perforated basket, and repeats until the desired strength is reached. Who it’s for: People who prefer strong or dark coffee. Pros: Stronger, more flavorful result. Cons: Requires thorough cleaning after every use, difficult to clean, difficult to master (lots of trial and error required). We recommend: This Presto Percolator is Amazon's top-rated pick. It has almost 1k reviews and an average customer rating of 4 stars. How it works: Ground coffee is steeped in cold or room-temperature water for at least 8 hours to create a lower-acid, smooth cold coffee. Who it’s for: Iced coffee lovers. Pros: Smooth, concentrated coffee, makes a sizable batch for a week of iced coffee, easy cleanup. Cons: Takes patience—the wait time is at least 8 hours and up to 24. We recommend: The dishwasher-safe Takeya not only yielded one of the best tasting brews, it also aced our usability tests. 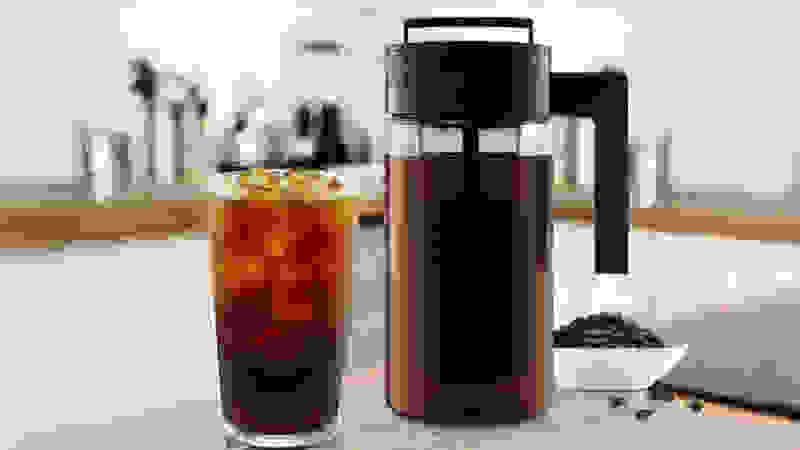 See our other recommendations for cold brew coffee makers. How it works: Fill a reservoir with water, place a pre-packaged pod into the machine, select your size coffee, and water will filter through the pod and coffee will pour directly into your mug. Who it’s for: Those who want just one cup of coffee, homes with different coffee preferences. Pros: Minimal cleanup, quick fix for a single cup of coffee, no extra dregs to toss. Cons: Pods tend to be expensive, create a lot of waste, and can be difficult to get at different retailers. 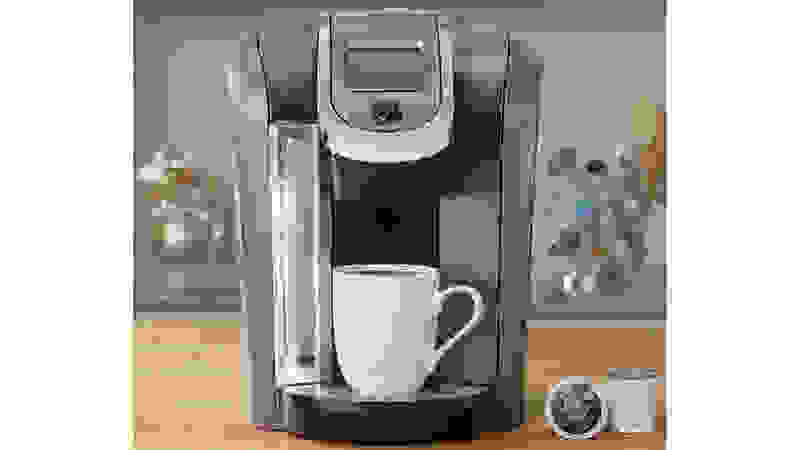 We recommend: The Keurig K575 features a responsive and easy-to-navigate touchscreen, a massive 80 oz. water reservoir, and the option to brew a full carafe for guests. It’s easy to use, quick to brew, and remarkably quiet. See our other recommendations for pod coffee makers. 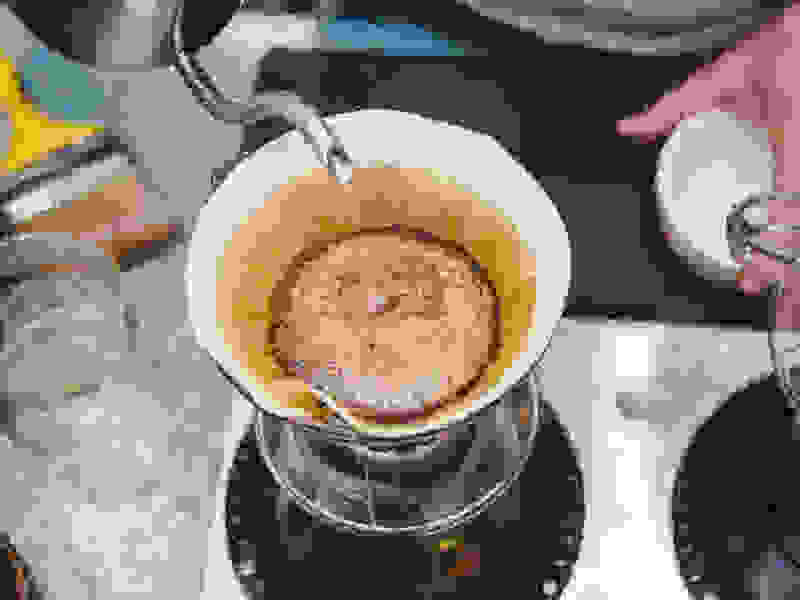 How it works: Soak coarsely ground coffee in boiling water then slowly press down on the plunger down to filter the grinds to the bottom of the maker. The coffee is then poured through a mesh filter. Who it’s for: Those who don't want to be tethered to an outlet, and people who want to tailor their coffee—you control ground size, water temperature, brew time. Pros: No cords, no paper filters, quiet process—perfect for desktop brewing. Cons: Requires hands-on pressing and monitoring, requires cleanup after each use. We recommend: This SterlingPro French Press is Amazon’s best-selling coffee press. 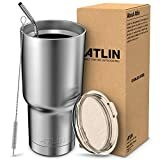 It has 5,500+ ratings on Amazon with an average of 4.3 stars. How it works: Perhaps the most niche of methods, hot water is poured in small batches over coffee grounds in a filter that then drips into a carafe below. The pourover method requires continuously replenished fresh water to keep temperature consistent. Coffee lovers swear this results in the best cup. Who it’s for: Coffee nuts who know (and care) a lot, or those who want to impress guests. Pros: Produces a great cup of coffee, looks very fancy. Cons: Requires time, patience, and a lot of care, expensive, can be difficult to clean. We recommend: The cult-favorite Chemex Classic can be spied on most hipster countertops. It has nearly 2k ratings on Amazon with an average of 4.6 stars.